All natural bath and hand soap. No harsh chemicals such as Sodium Lauryl Sulfate (SLS) or Phthalates. 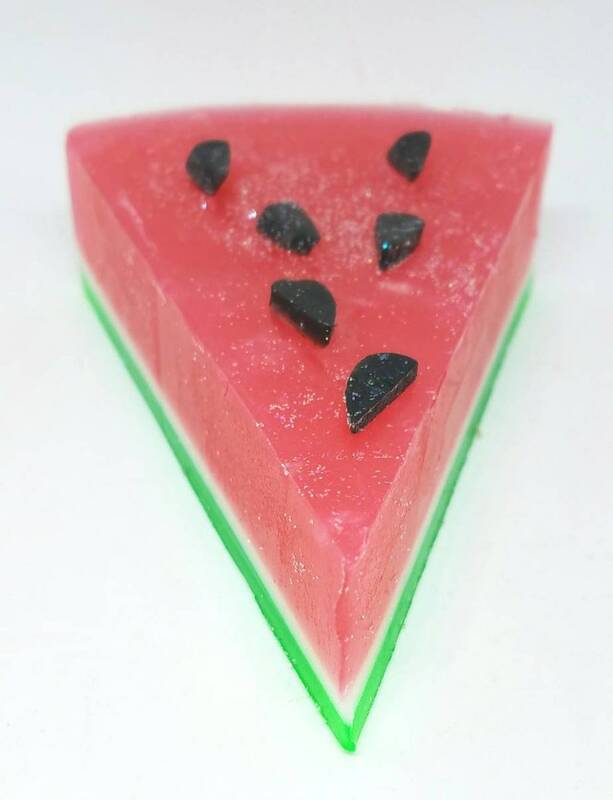 Fun watermelon shape and the scent is delicious! Handcrafted in small batches. Great for sensitive skin.